How do you test children’s hearing? Impedance measures (middle ear test) are always measured in children, because a key cause of hearing difficulties in childhood is middle ear pathology, commonly known as “glue ear”. This is a temporary condition that usually recovers with time, medication, and /or minor surgery where grommets are inserted by an Ear Nose and Throat specialist. Children from the age of 6 are able to perform the standard testing administered to adults as mentioned here. 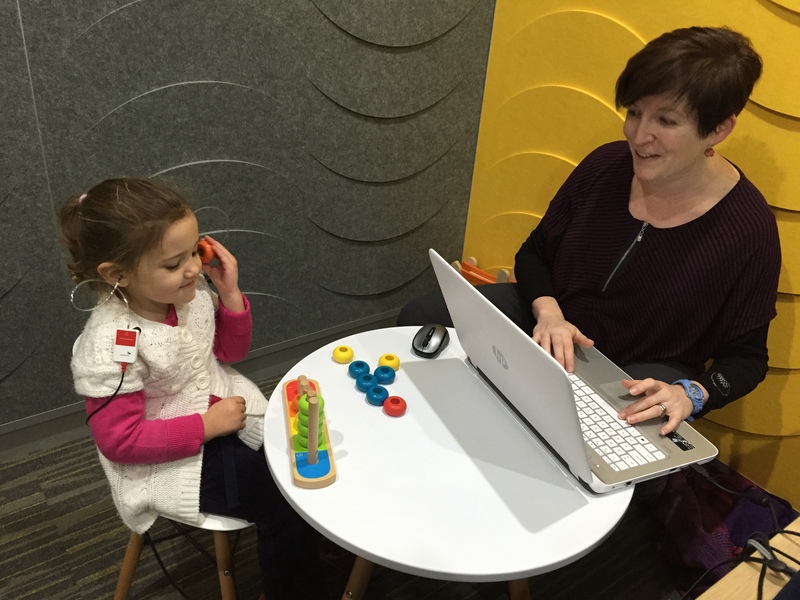 Children aged 3-5 perform a modified version of Audiometry, known as “Play Audiometry”. Instead of pressing the button when they hear a sound, the children are taught to play part of a game when they hear a sound. Eg/ put a marble in the racer, put a peg in the board. 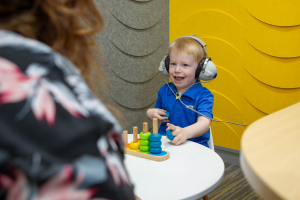 Our Audiologists work quickly with the child to obtain as much information as possible about their hearing. The aim is to determine if the child’s hearing is within the normal range for each ear. A unique part of our services at Pittwater hearing is that we assess children under 3 years of age, including babies from 8 months. We are one of only a few places on Sydney’s Northern Beaches to do this. Children under the age of 3 are administered a different style of hearing test. This involves the child being taught that when they hear a sound, if they turn their head, they will see a puppet or other visual reward. Given the short attention span of young children, both ears are usually tested together at two frequencies. The aim of this test is to ensure that the child has sufficient hearing for normal speech and language development.